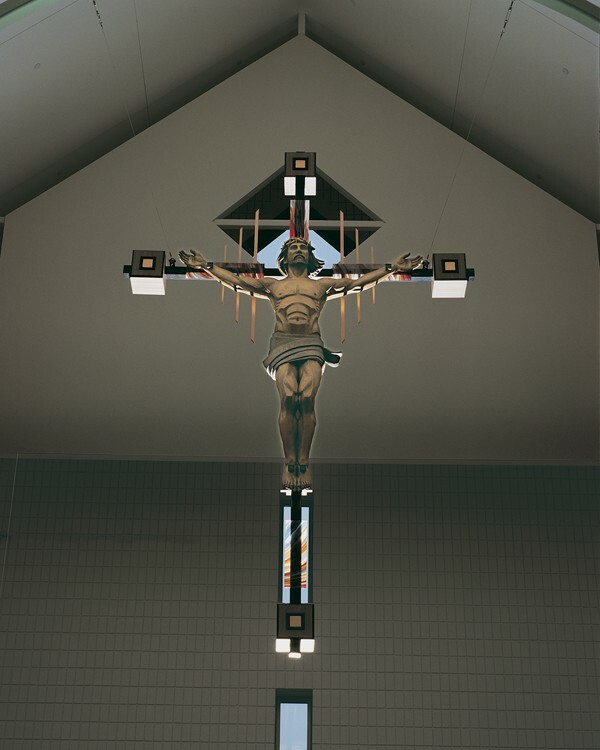 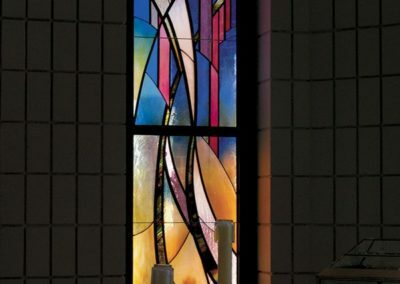 To create a unified body of art glass that adds beauty, mystery and inspiration and a crucifix for display as the focal point of the newly constructed church. 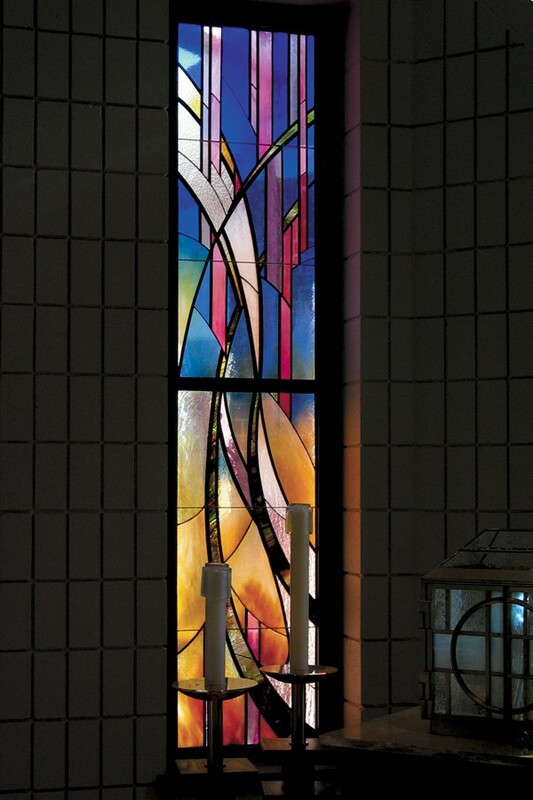 The style of the windows is contemporary to coordinate with the architecture and abstract to engage the imagination. 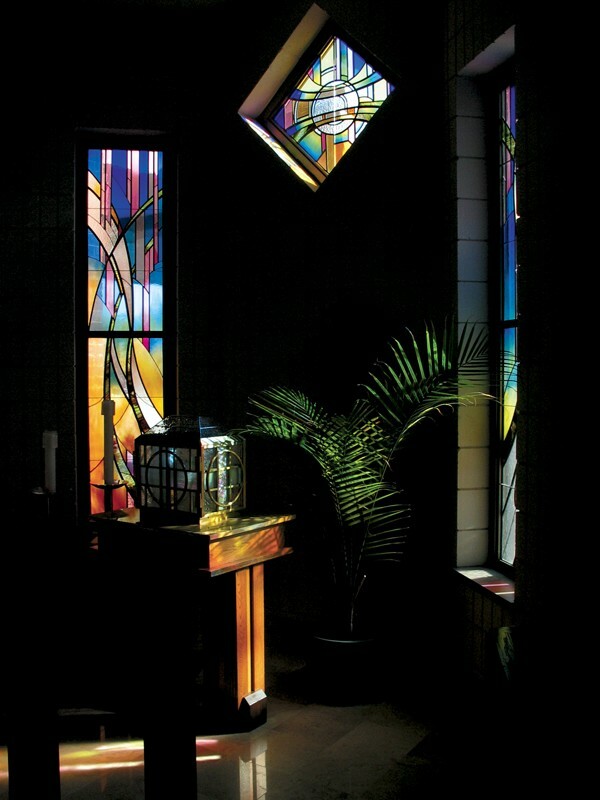 The movement in the designs evokes the mystery of creation, with elements that recall water, wind, light and growth. 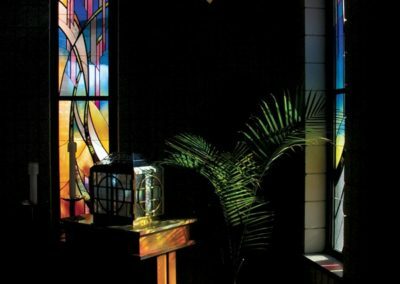 The glass includes iridescent, antique, cathedral and flash glass in soft, transcendent hues. 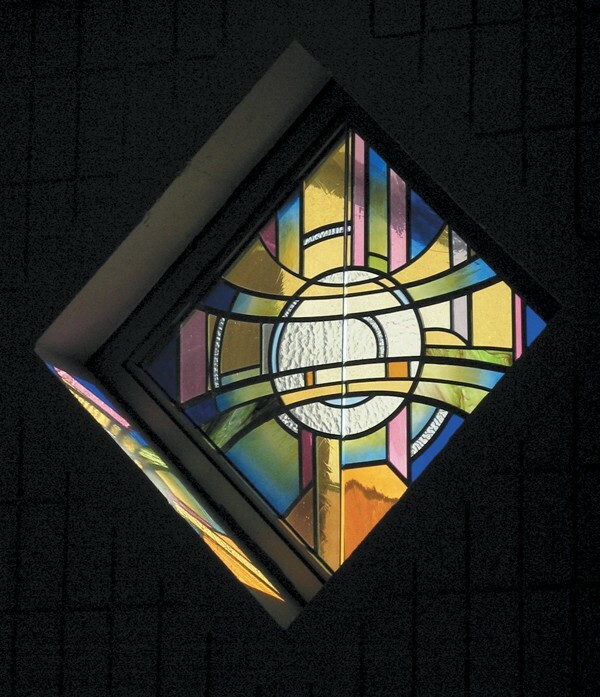 In the trio of designs created for the Blessed Sacrament Chapel at St. Elizabeth Ann Seton Catholic Church in New Berlin, Wisconsin, the host is depicted in the upper window, and the wheat, vines and blood of Christ are present in the organic lines of the side windows. 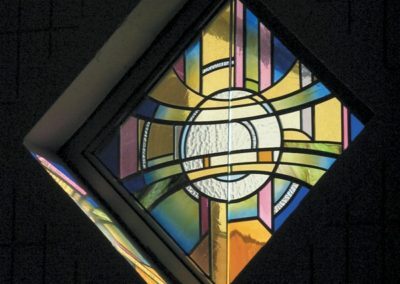 The movement of these lines directs attention to the Tabernacle, which is positioned below them and is the focus of the Blessed Sacrament Chapel. 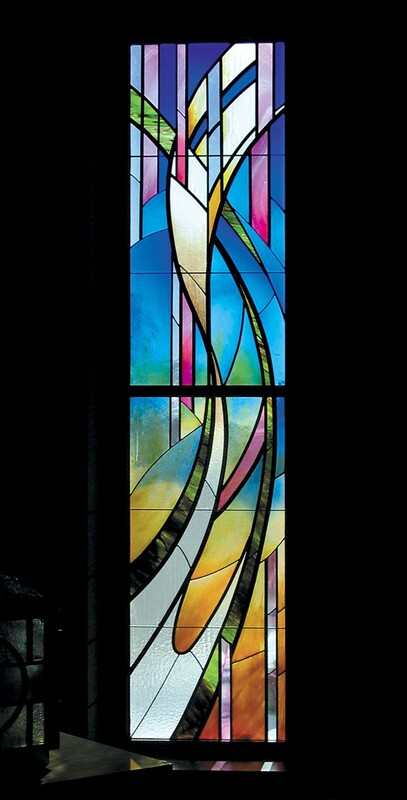 The large nave window, represents Spiritual Awakening, with dynamic unity between the figure and all of creation. 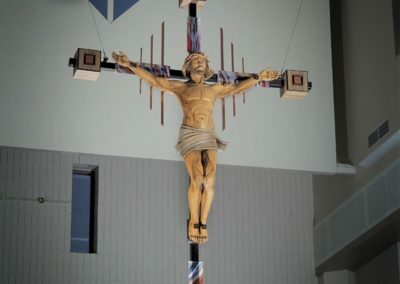 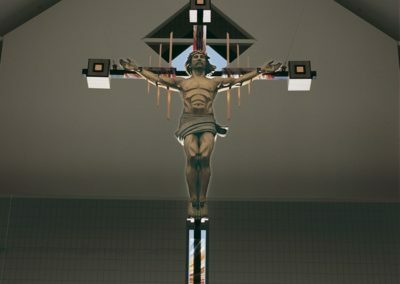 A 14-foot sculpture, 33 A.D., blends traditional and contemporary styles to complement the architecture of the church, while maintaining strong ties to classical portrayals of the crucifixion. 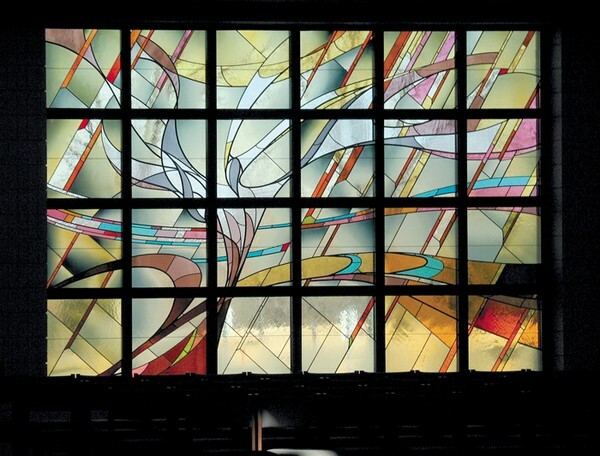 The artwork is sized and placed in such a way that it has a complementary relationship with the windows behind it. 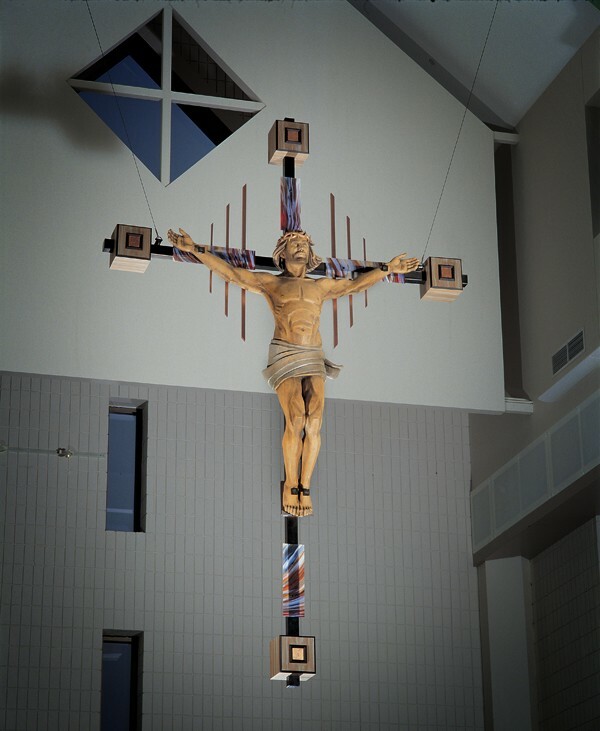 Designed to convey both death and resurrection, the figure of Christ hangs on the cross, but still looks vibrant and powerful. 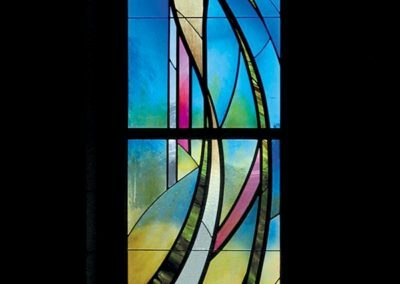 The variety of materials in the piece include jelutong wood, gray steel, copper pipe and copper leaf, as well as German opalescent glass.